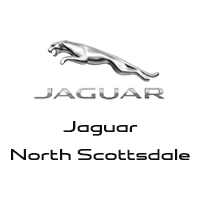 Here at Jaguar North Scottsdale, we put quality and customer satisfaction before everything else. As the leading Jaguar dealership in the greater Phoenix area, we’re proud to offer the entire lineup of new Jaguar cars, including premium models like the Jaguar F-PACE, Jaguar XF, and Jaguar XJ. We also offer have hundreds of used luxury cars for sale, with a variety of certified pre-owned Jaguar models on offer. When you come to our dealership, it will be clear from the very start that your needs come first. We have a team of well-trained and educated customer service representatives who will listen to what you want and help guide you to the vehicle that fits your discerning specifications. Once you choose the vehicle of your choice, you can work with our finance team to get a great APR rate faster. When you’re driving around town, you won’t ever have to worry about something going wrong because our service department is here for you to handle all standard maintenance and repairs. We’re just as enthusiastic about the nature of this British automakers engineering and design capabilities as our customers, which is why we’re happy to host a variety of Jaguar events throughout the year at our dealership to explore the performance, history, and even the future of Jaguar. Find everything you’re looking for in a performance luxury car at Jaguar North Scottsdale, located at 18100 N Scottsdale in Phoenix, AZ. We’re open seven days a week, and you’re welcome to give us a call to set up a test drive or have your questions answered.